PLEASE NOTE: The Seminar events will be at different venues this year than past years. Saturday Seminar: Church of Jesus Christ of Latter-day Saints, 60800 Tekampe Rd., Bend OR 97702 As in the past, lunch is included in the cost of the Saturday Seminar. At the Friday afternoon workshop, we will only provide some light snacks. 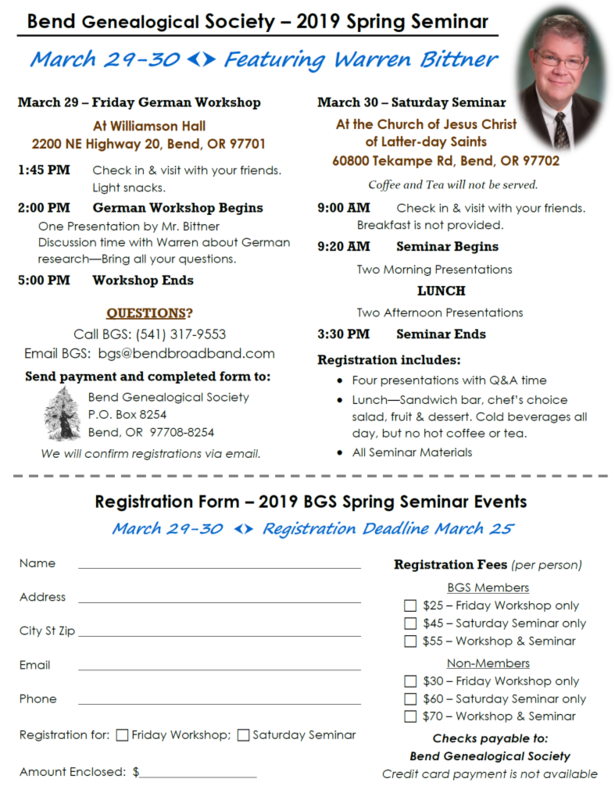 An event flyer and registration form that you may use to inform your members of our Seminar events this year. Payment can be made with check and registration form via US mail. 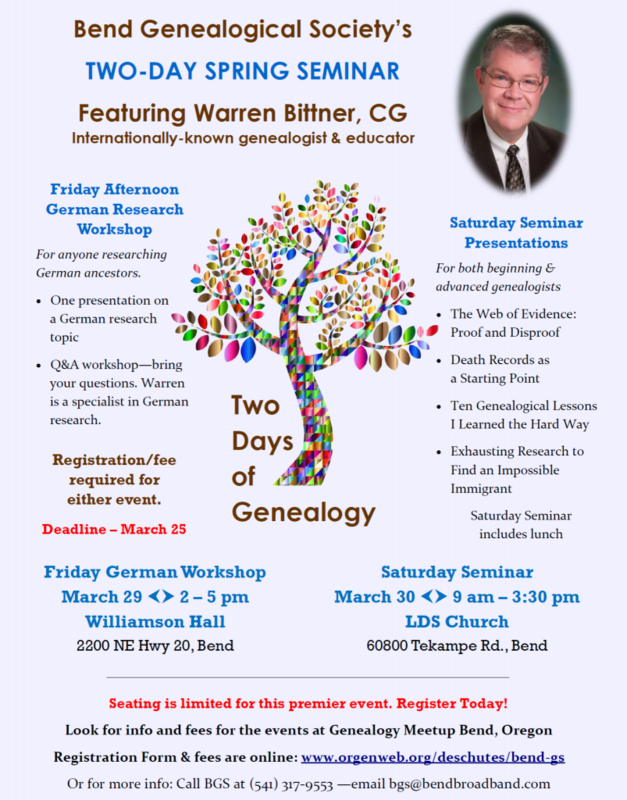 This entry was posted in Out-of-Area News and tagged Bend Genealogical Society.